Blue Nile Falls are located on the famous river Nile in the northern region of Ethiopia. This natural spectacle is known locally as Tisisat falls in Amharic (an Afro-Asiatic language). ‘Tissiat’ means ‘smoky water’ or the ‘Nile that smokes.’ It is situated about 30 km downstream from the town of Bahir Dar and Lake Tana. Blue Nile Falls is one of Ethiopia’s famous travel places. The Blue Nile falls have been visited historically by many famous travellers, including the Scottish explorer James Bruce, a famous travel writer who spent more than twelve years in North Africa and Ethiopia. The smoky waterfalls have also been visited by Britain’s Queen Elizabeth II. How to reach Blue Nile Falls? The cost per person, inclusive of travel, accommodation, food and entry fee of all the tourist attractions, will come around 1200-1500 Ethiopian Birr when in a group. 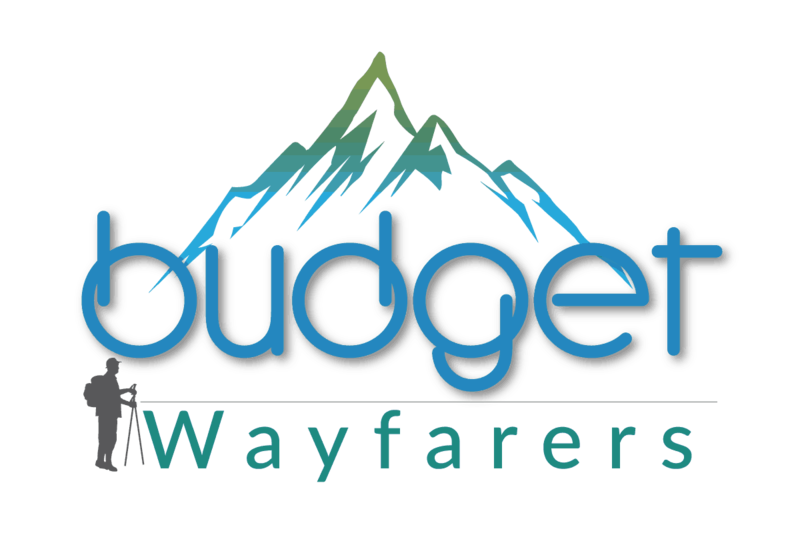 For solo travellers, the cost might increase a bit because you alone will have to bear the accommodation charges, cab charges and guide charges also. What Exactly are the Blue Nile Falls of Ethiopia? The Blue Nile Falls or the Smoky Waterfalls, as they are popularly known as are waterfalls comprising of many streams on the Blue Nile River in Ethiopia. The falls are about 45 meters high, consisting of four streams that vary from a single stream in the dry season to more than 400 meters wide during the rainy season. However, the waterfall that you see today is not it’s full self mainly because of the hydroelectric power plants upstream. 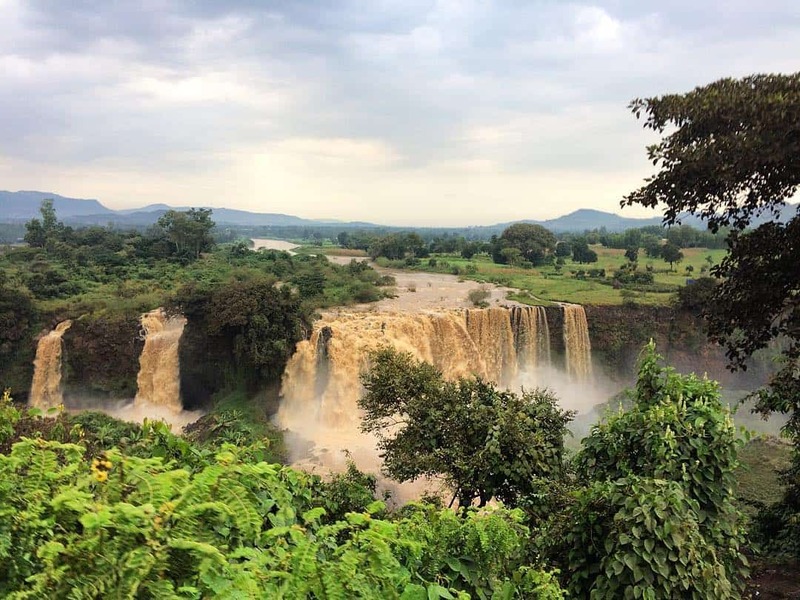 Blue Nile Falls are located in the Ethiopian highlands on a fog cleared palisade transfixed by the 150-foot-high smoke of fire, popularly known as the Blue Nile Falls. They are the most wonderful display of falling water anybody has ever seen. The waterfall produces rainbows that can be seen glistening across the gorge. A small evergreen forest inhabited by birds and monkeys is also supported by the drizzle of the Blue Nile falls. It’s only a few minutes’ drive from the lakeside town of Bahir Dar, across the Blue Nile Bridge, to the spot where the famous Blue Nile River flows out of Lake Tana. The Blue Nile Falls are nearly 30 kilometres south of the Bahir Dar city, and closest to Tis Abay town, a market settlement of the people of Amhara region who reside in this area. The best time to visit Ble Nile Falls, Ethiopia is during the months of August and September. This is when the flow is at its highest giving it a breath capturing view. The water droplets coming from the stream consistently make the visitors wet up to half a kilometre away. But its a nice feeling. The dry months between January and March, do not offer the real beauty of the Blue Nile Falls. 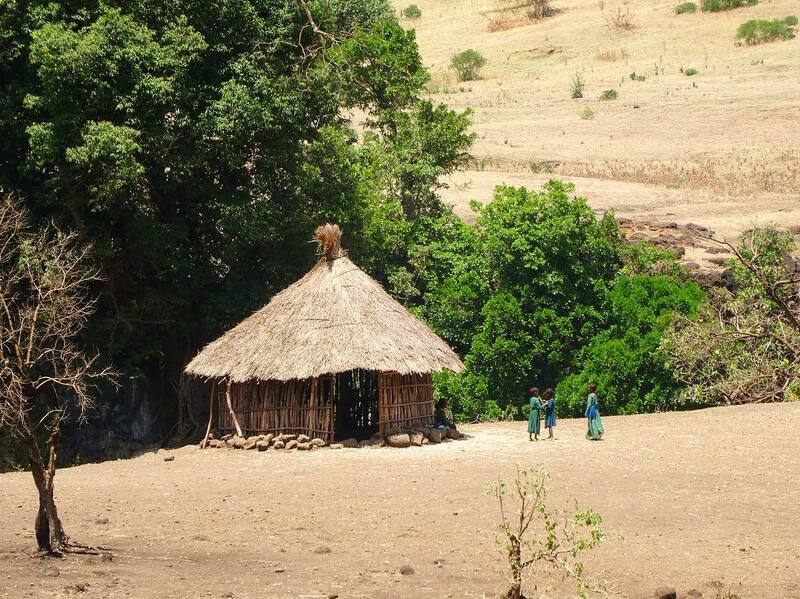 Although, if you happen to visit Ethiopia during the dry months, you shouldn’t miss it. It is still a sight to behold. Why are Blue Nile Falls Known as ‘Smoky Water Falls? Though first-time travellers will anticipate a blue colour of the falls (owing to the name), they are actually brown in colour. 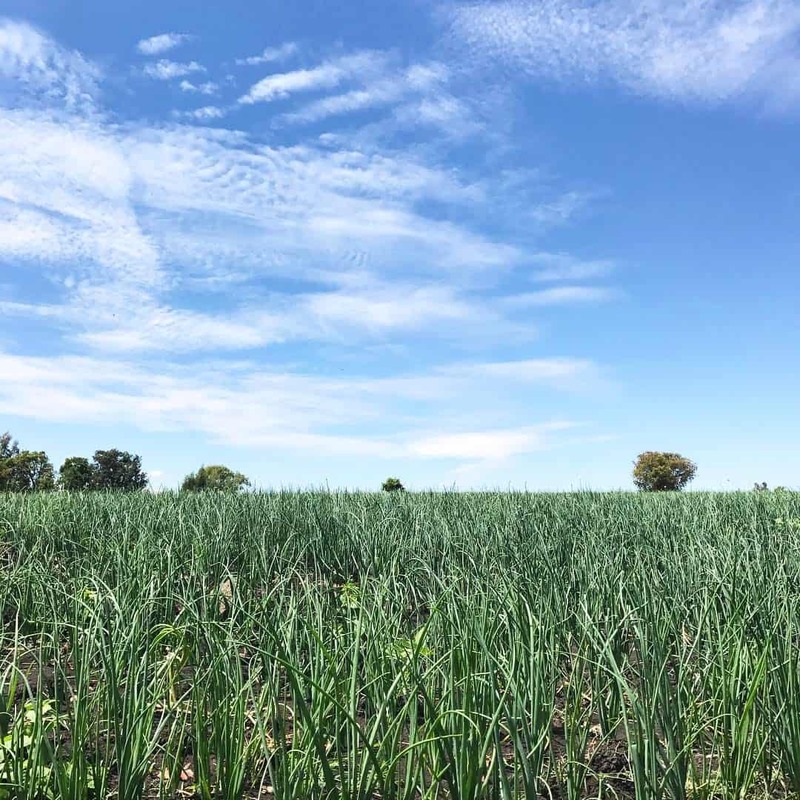 Reason being that during summer the rains erode the huge amount of fertile soil from the highlands. 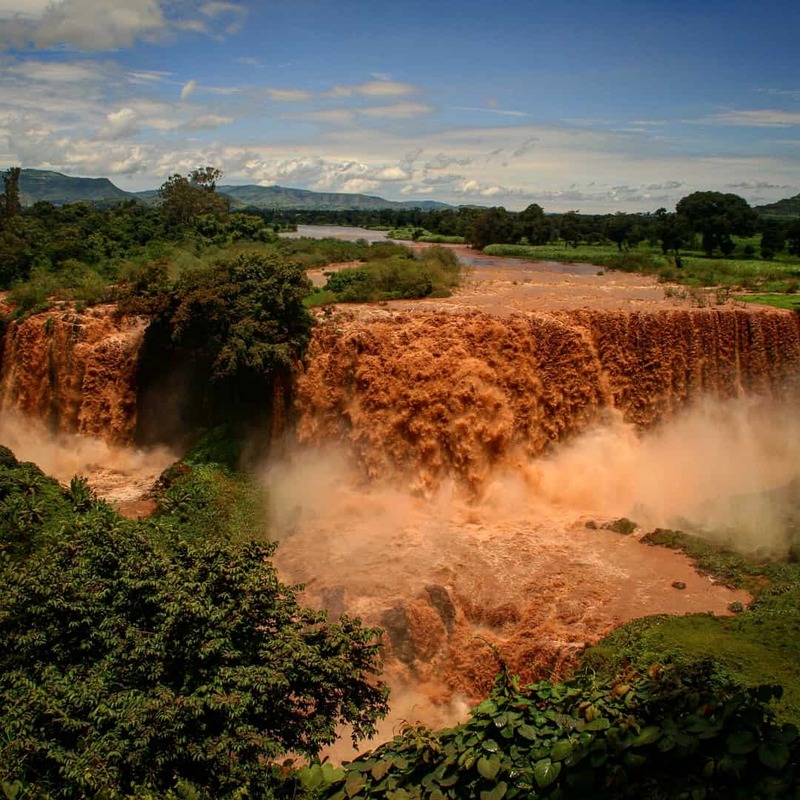 At this time the Blue Nile falls are energized with high speed down streams and the water becomes dark brown in colour. The Blue Nile Falls are situated at about 35 km from Bahir Dar. From Bahir Dar, you have to first reach Tis Abay own which is the nearest town to the falls and then hike up to the falls. Tis Abay town lies south from Bahir Dar and is a small settlement of Amhara people growing sorghum and teff. In order to reach Tis Abay town, you need to either hire private tours or use public transport. I would suggest you take a bus and enjoy the trip on a budget. You will get a bus from the new bus station i.e. Adisu bus station. The bus for Tis Abay town leaves every hour and costs 15 Birr. The buses are crowded and slow with multiple stops but it’s an experience you must have. The one and a half hour journey through muddy roads will take you to the Tis Abay town. The ticket office is hardly 50m from the bus stop. Collect your tickets here and get ready for the hike. Once you have your ticket (Cost 50 Birr per person) you are ready for the hike. Here you can get a guide for your hike. The cost of a guide is 300-350 Birr for a group of 4-6 people. You may or may not choose to take a guide and it totally depends on you. However, if your pocket allows, you should get one as they keep you engaged with interesting stories on the way. This is also called the western route. This shorter route involves taking a short boat ride and a 10-minute walk up to the Blue Nile Falls. The boat ride costs 20 Birr per person and is available from 7 am to 6 pm. If you choose this route, you will reach above the waterfalls. The longer route is the more interesting one and is also referred to as the eastern route. The road to this route lies about 50m west the ticket office of Tis Abay. A rocky path will lead you to the 17th-century Portuguese bridge, which was also the first bridge on the Blue Nile. On the bridge, you meet many villagers going about their usual business. From the bridge, keep left and hike up to a small village which lands you on the hillside opposite the falls. The viewpoints here are great for clicking pictures. From there, take the suspension bridge over the Alata River to reach the base of the falls. 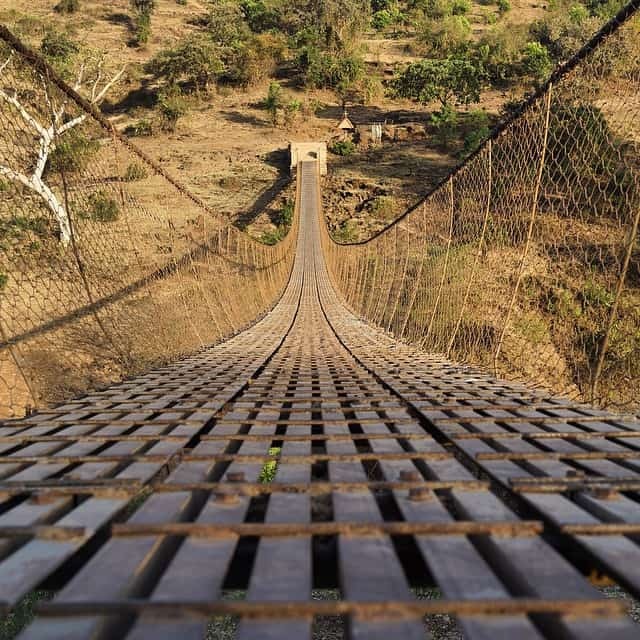 The best option is to complete the circuit by choosing both the paths, one for reaching and the other for returning from the Blue Nile Falls. What Do the Smoky Water Falls have in Store for you? On the way to the Blue Nile Falls, the travellers can find the colourful fields of sorghum and Teff as these are the principal food crops of Ethiopia. 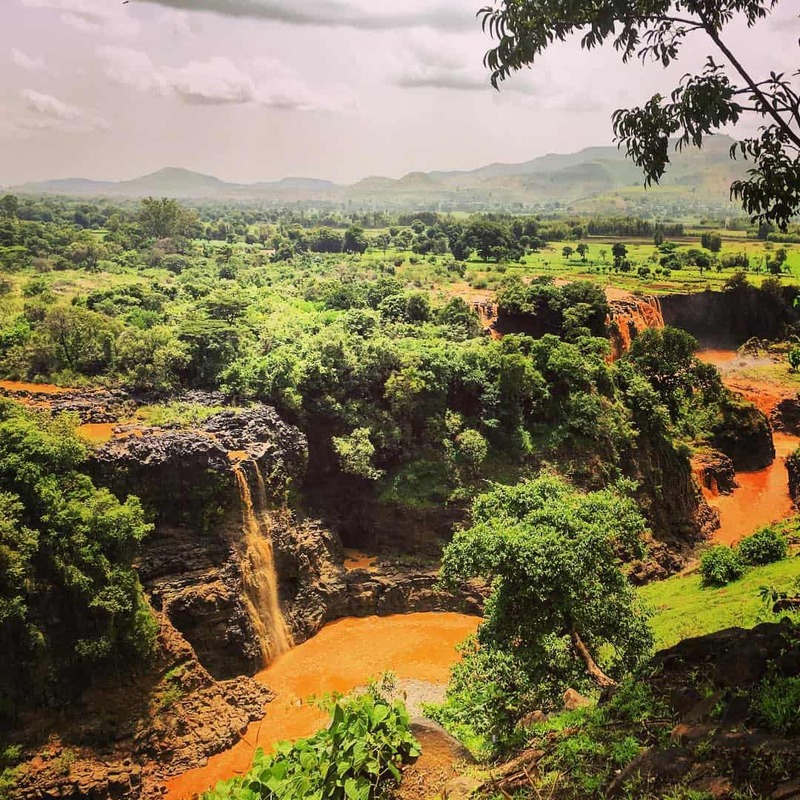 The steamy downpour from the Blue Nile Falls produces frequent rainbows that change and shine over the chasm, and an unending forest of lush green vegetation sparkles, much to the joy of the many monkeys and coloured birds that occupy the region. 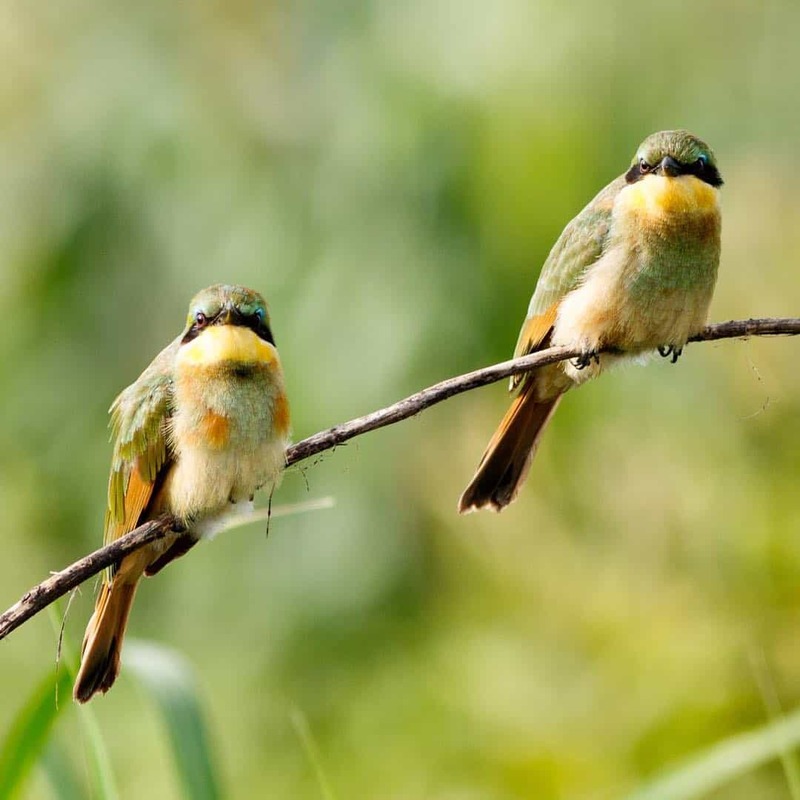 The piece of perennial rain forest which is around the Blue Nile falls provides the beautiful natural environment for a variety of bird species. Here you can find birds like Ibis, Ground Hornbill, Yellow-fronted Parrot, Speedy Blue-breasted Bee-eater and Northern Crowned Crane. All of these species are local inhabitants. The areas nearby to the Blue Waterfalls are also splendid travel regions to look at, especially for endemic flora that has provided a homely environment for bird life. The Blue Nile falls are more energizing from July to September due to the rainy season. The Smoky Water Falls consists of four separate streams and after meeting together these convert into a huge mass of water 400m wide as they thunder continuously from a height of 45m. It is one of East Africa’s most amazing waterfall. Rainbows often bow over the shower at their base near the main view, which was once home to hippopotamus and Nile crocodile. In one word, one can describe them as spectacular. Another thing is that one can experience the thrilling glimpse of the Blue Nile Falls from very near as the guide takes travellers to witness them in full flow. You can head back to Bahir Dar from Tis Abay by bus. The buses are regular but are extremely crowded. It is almost impossible to get a seat. Some locals will charge you 15 Birr or less to hold a seat while you wait for the bus to arrive at the stop. These people walk up to the exit of the village (the second last stop) where the bus stops to drop some passengers. They get into the bus here and when the bus finally deboards at the last stop and everyone gets down, they have a seat. This is the seat you have paid for. The last bus leaves at around 4.30 pm, make sure you confirm the timings in advance. A good pair of shoes is recommended for walking to reach the Blue Nile falls. They will prove comfortable as the road is hilly and muddy. The paths get slippery and muddy during the rainy season, so take some good hiking boots or rubber boots. Drink plenty of water before visiting the Blue Nile Falls. This will help you stay hydrated. Keep a set of extra clothes and a towel. One can get drenched by going very close to the Blue Nile falls. Lastly, don’t forget your camera to capture the outstanding pictures of nature. Leaving the Tis Abay town, the path drops into a profound basaltic rift crossed by an old fortified stone bridge, constructed in the seventeenth century by Portuguese travellers. After walking for 15 minutes a solid ascend a green hillside is then compensated by an outstanding perspective of the Blue Nile Falls. To visit this site the traveller has to take a local authorized guide. He will accompany you with walking to the falls. In between this short period of walk the traveller will get the chance of boating in the Blue Nile River for 5 minutes to reach the destination. There is a Suspension Bridge near the Falls on which travellers can walk for enjoyment. This feeling may be amazing for many people but some get really scared to walk on it. While the major waterfalls of the world like Victoria, Niagara, Iguazu are all packed with hotels and tourist boutiques, the Blue Nile Falls don’t have many close accommodation places. Also, the Blue Nile Falls are accessible only in day time. If you really want to stay overnight, you can also stay at the Blue Nile Camping. They seem to have some great reviews and offers tents and huts for staying. Most of the visitors make a day trip to the Smoky Water of Tis Abay town. As the destination of Blue Nile falls is 30 km away from Bahir Dar city, there are ample accommodation options available in Bahir Dar. It is not only clean and beautiful but travel-friendly as well. 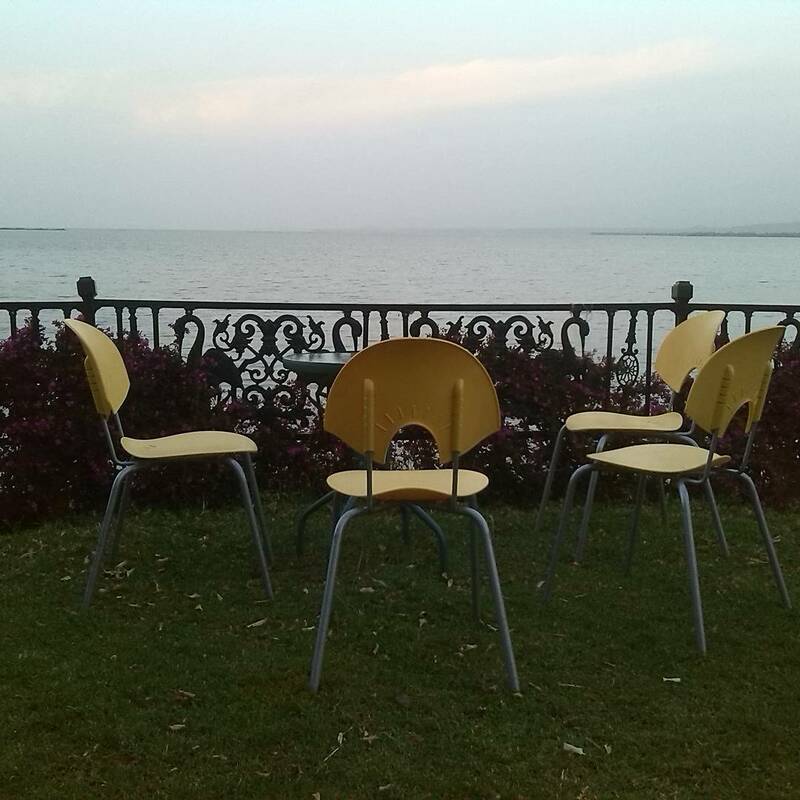 The travellers experience a pleasant feeling to stay on the banks of Lake Tana. Some rooms are also available in the nearby village of Tis Abay. In Bahir Dar, one can find many budget-friendly hotels. What to Eat near Blue Nile Falls? Teff is the main crop cultivated in the country and is grown on the Ethiopian highlands. 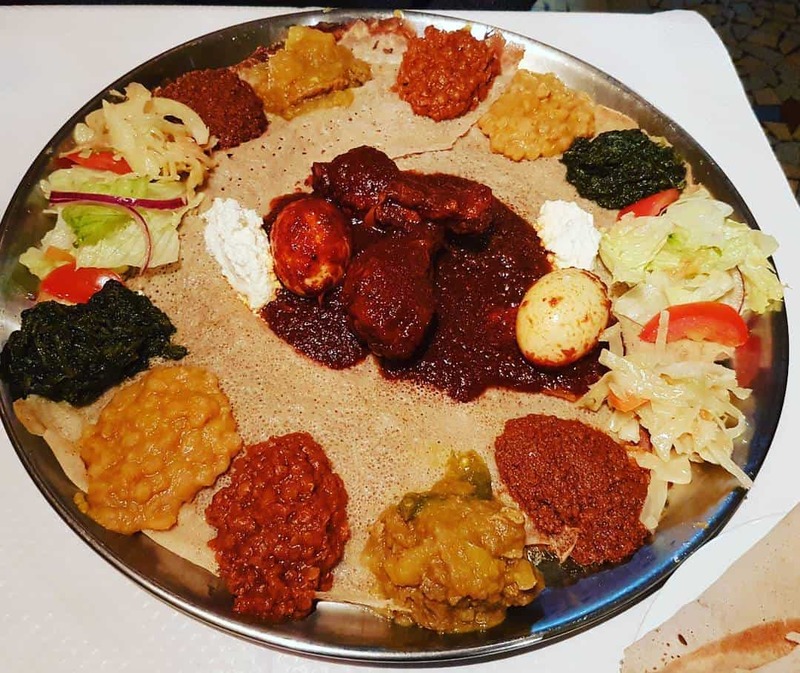 There are other varieties of food like chicken, lamb, beef, lentils, vegetables, and ground split peas stewed with a hot spice called berbere. On the Nile river, a new $63 million, 450-megawatt hydropower generating station called Tis Abay II has been constructed. It diverts the water on weekdays, except Sundays and holidays when the necessity of power is lower. More than 90 percent of the energy consumed in Ethiopia is produced from biomass fuels and is mainly used for cooking. The use of these fuels has brought about huge deforestation and soil erosion. Only 4 per cent of the population uses electricity. However, Ethiopia, which sits on a high plateau, has many rivers and valleys rushing off all sides, offering gigantic hydropower potential. But the main motivation to trade-off the Blue Nile Falls, one of the best natural wonders of the world, is to take advantage of cheaper energy and faster. Due to the Tis Abay hydropower project, in the seasons other than rainy season, the width of the Blue Nile Falls decreases and thus the magnificent spectacle which is an emblem for Ethiopia. Before constructing the hydropower project, the Ethiopian government employed consulting firms from Britain and France for study. According to the study concluded the Tis Abay II hydropower project would not be harmful to the environment like other big dams, and it would be cost-effectively very attractive for a venture. This was the first time when the diversion project had been put into full effect. But after the construction of this project, the flow of streams has been decreased and the tourists were finding that what they had come to see had vanished due to artificial legerdemain. 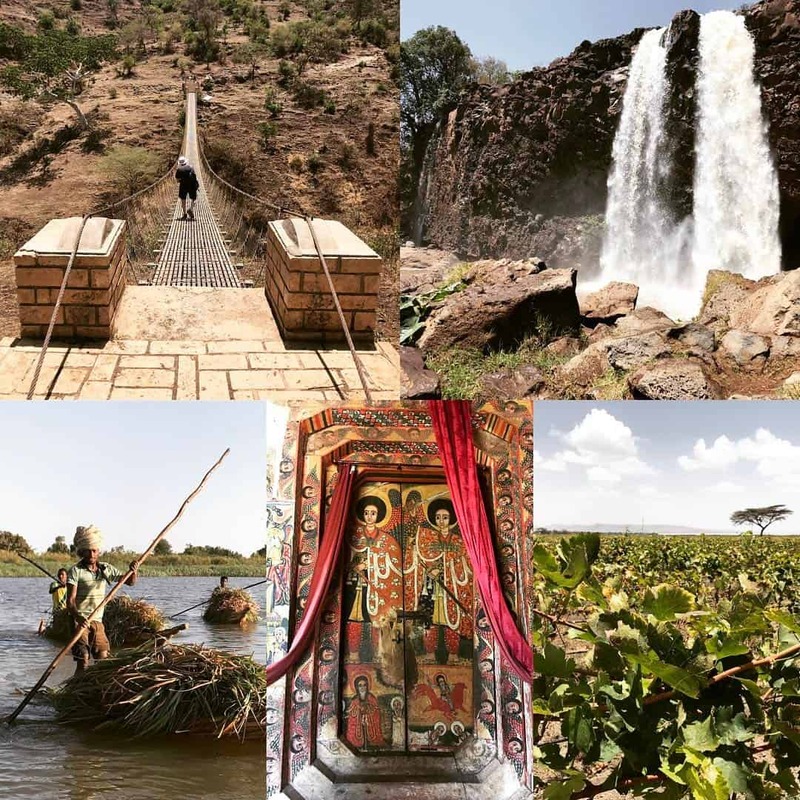 This country proudly showcases the earlier photos of the Blue Nile Falls in the paper currency note and it can also be found on the walls of offices and restaurants of the country. But now, 90 percent of the water is diverted for the power project making the falls bald and narrow. This is sad. Travelling to Blue Nile Falls made me realise that we as the younger generation, should preserve nature’s resources and allow nature’s bounty to be enjoyed by the next generation as well. Blue Nile Falls are Ethiopia’s pride. They deserve to be saved and witnessed by all travellers. Pragna Mohapatra is a freelance writer based in Bhubaneswar. She is a post graduate in Journalism and Mass Communication from Utkal University and MBA(HR) from IGNOU. Her articles have been published in several websites like www.womennow.in, Ayushveda.com, www.vaidyaa.com and many more. She also works as a freelance HR personnel. Pragna especially loves talking to people, locals and travellers alike and wants to learn more about them. She writes different types of articles related to travel, health, beauty and technical articles also. She wants to encourage other travellers to experience different cultures, cuisines and meet new people to find everyone with a unique story. THIS POST ENTITLED, “Blue Nile Falls are Ethiopia’s ‘Smoky Water’ Incarnate” IS AN EXCLUSIVE PROPERTY OF BUDGET WAYFARERS. ANY INDIVIDUAL OR ASSOCIATION INDULGING IN PLAGIARISM WILL BE DEALT WITH STRICTLY. IF YOU WANT TO USE INFORMATION FROM THE ARTICLE ABOVE, KINDLY QUOTE THE SOURCE.